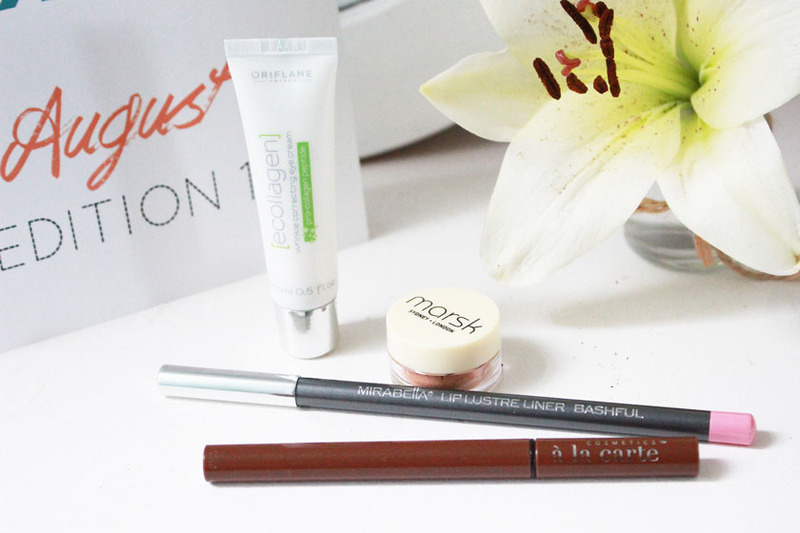 My August Love Me Beauty Box* (£10.00 +P&P) features four full size items and I am very pleased with most of them. I received three makeup products and an eye cream and I wanted to share my first impressions with you. I really, really wish I was able to pick a shade of this brow pen, because I adore the formula and concept. I am a brunette and my brows are almost black, so shade blonde isn't the best match :( I will still use it and follow with a darker powder, but I wish it was a darker colour. I can use it as an eyeliner too. This shade is a great match for my Lancome Lipstick in shade 312 so I will get a lot of use out of it. The formula is creamy and long lasting. I actually have a blush/highlighter from Mirabella as well and I love it. I am not crazy about loose mineral eyeshadows, simply because they are quite messy. I think I might press this one into a pan though, because the shade is stunning and can be even more intense if applied wet! 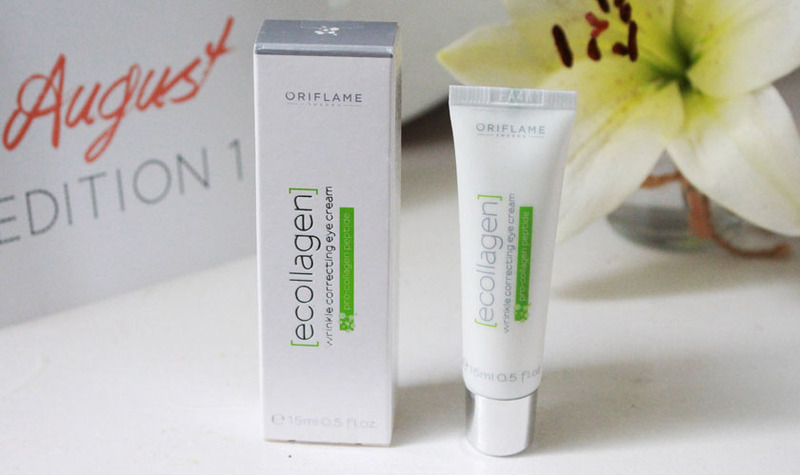 I am a big fan of eye creams in a rollerball format and this one is perfect for everyday use. It's lightweight, non greasy and helps to reduce puffiness, especially if I keep it in the fridge overnight. Overall, if I was blonde, the box would have been absolutely perfect. I am happy with it anyway and I can use the brow ink as a liner, but it would be good to be able to choose the right shade, as it is quite a personal thing and not everyone has the same brow colour.